San Jose Coin Shop specializes in buying and selling coins and paper currency from around the world. We have served thousands of satisfied clients throughout San Jose, Santa Clara, Milpitas, Mountain View, Santa Cruz, Gilroy, Los Gatos, and surrounding cities since 1958, and have earned a solid reputation for honesty, integrity, and fairness. 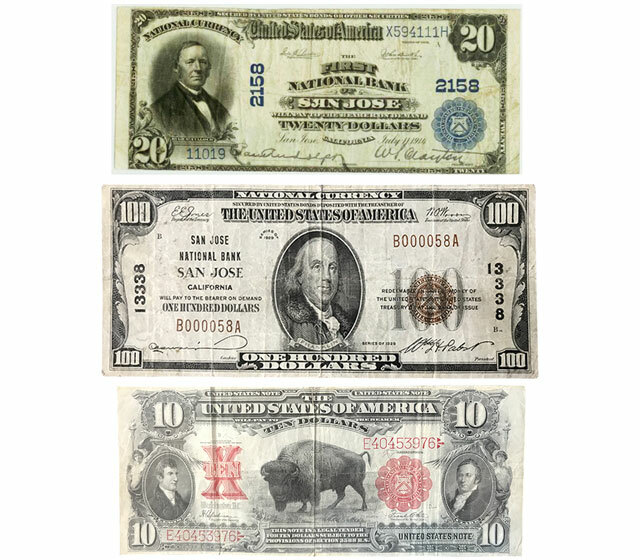 Our owner is a professional numismatist with 40 years of experience in grading, appraising, and authenticating rare coins and currency. He’s also a lifetime member of the American Numismatic Association and a certified pre-screener for the Professional Coin Grading Service (PCGS) and the Numismatic Guaranty Corporation (NGC), which means he is qualified to perform an initial assessment of a coin’s condition and advise our clients on what they can expect to get from one of these professional grading organizations. At San Jose Coin Shop, we welcome all U.S. and foreign coins and currency, in good or mint condition, circulated and uncirculated. When assessing the worth of old or rare pennies, nickels, dimes, quarters, dollars, gold pieces, and/or paper money, we consider both the bullion value of the precious metal and the collector’s value, which takes into account rarity, condition, and demand. Depending upon your needs, we can provide you with a verbal appraisal for free or a detailed written appraisal for a reasonable fee. If you approve of our offer and decide to sell your coins or currency to us, we will provide a detailed record of the sale and issue immediate payment. Diverse Selection of Rare Coins and Currency. If We Don’t Have It, We Can Locate It For You! If you are interested in growing your collection, you are welcome to stop by and look at our ever-changing inventory of coins and currency. 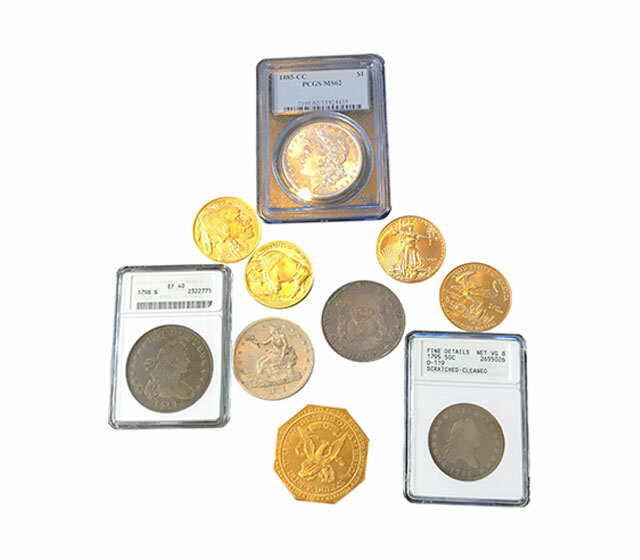 We can also assist bullion, coin, and currency collectors in locating hard-to-find items, such as limited edition commemorative coins or a $20 gold piece with specific date and mint marks, by reaching out to our dealer network. Call or stop by San Jose Coin Shop today to learn more. Whether you are looking to buy paper money from pre-WWI China, need to sell your collection of South African Krugerrands, or want to locate a $10 territorial gold piece, our knowledgeable staff can be trusted to provide honest appraisals, reliable advice, and competitive prices. Our coin shop in San Jose is centrally located near Sunnyvale, Mountain View, Morgan Hill, Hollister, Los Gatos, San Martin, Cupertino, and Campbell, and is open 9am-5pm, Monday through Friday, 10am-4pm on Saturdays, and after hours by appointment. San Jose Coin Shop owner Donald Lynch in an authority on coins and all things numismatic. Donald has owned the shop for more than 30 years. He has a huge inventory and I always find something new and interesting in his shop. His shop . . .